Join us for the first event of the 2019 Carole Weinstein Author Series. Zachary R. Wood, a columnist and assistant opinion editor at The Guardian and a Robert L. Bartley Fellow at the Wall Street Journal, will discuss his powerful memoir, Uncensored, which offers his perspective on free speech, race, and dissenting opinions. Wood grew up poor and black in Washington, DC, where the only way to survive was resisting the urge to write people off because of their backgrounds and perspectives. By sharing his troubled upbringing—from a difficult early childhood to the struggles of code-switching between his home and his elite private school—Wood makes a compelling argument for a new way of interacting with others and presents a new outlook on society's most difficult conversations. A book signing will follow the talk. For more information, contact Emma Ito at 804.692.3726 or emma.ito@lva.virginia.gov. Read and discuss the best of today's Virginia literature—books by Library of Virginia Literary Award winners and finalists in fiction and nonfiction. On the second Wednesday evening of each month, join us for a book discussion with light refreshments, additional historical context, and even occasional author visits. This month, discuss Fire Is Your Water by Jim Minick (a 2018 Fiction Award finalist). For April, in honor of National Poetry Month, we'll each pick a poem by one of the LVA Literary Award–winning poets to share and discuss (a list will be provided at the March meeting). Loaner books available. For more information, contact Nan Carmack at nan.carmack@lva.virginia.gov or 804.692.3792. Do you have the germ of a great book idea? Did you stumble upon a news brief that captivates you? Maybe you've uncovered a family history that feels important or found something in the stacks you keep thinking about. Library of Virginia writer-in-residence Kristen Green, author of the New York Times best seller Something Must Be Done About Prince Edward County—with assistance from Ginny Dunn, the Library's Archives and Library Reference Services manager—will explain how to take that morsel and use it to build a broader story through deep reading, research, and interviews. Green will provide examples of materials available from the Library of Virginia’s collections and from online resources to add details and texture to build a richer narrative. For more information, contact emma.ito@lva.virginia.gov or 804.692.3726. 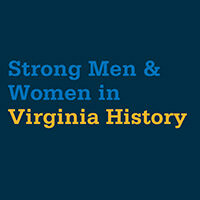 In honor of National Women's History Month, author Megan Taylor Shockley will speak about her new book, Creating a Progressive Commonwealth: Women Activists, Feminism, and the Politics of Social Change in Virginia, 1970s–2000s. This innovative study illustrates how feminists in the state challenged the traditional patriarchal system and engaged directly with the legislature through grassroots educational efforts on three major initiatives: passage of the Equal Rights Amendment, protection of abortion rights, and pursuit of legal and social rights for survivors of domestic and sexual violence. Shockley challenges the monolithic view of the region as a conservative bastion and argues that feminist advocates have provided crucial social progressive force. 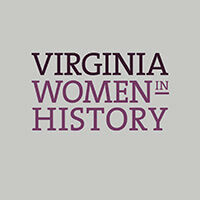 A research professor of history at Clemson University, Shockley, is also the coauthor of Changing History: Virginia Women Through Four Centuries, published by the Library of Virginia. A book signing will follow the talk. For more information, contact emma.ito@lva.virginia.gov or 804.692.3726. Due to the popularity of this program, please inform us at least 48 hours in advance of the event if you require a refund. 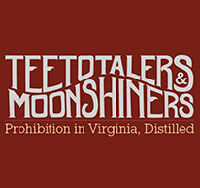 $50 ($35 for member of the Friends of the Virginia State Archives) and includes a box lunch. In cooperation with the Library of Virginia, the Friends of the Virginia State Archives present their annual Spring Conference featuring presentations by the professional Library staff about the collections at the Library of Virginia. Pre-registration is required by March 25, 2019. Attendance is limited. Learn more at friendsvirginiaarchives.org or email straight.to.the.source@gmail.com.